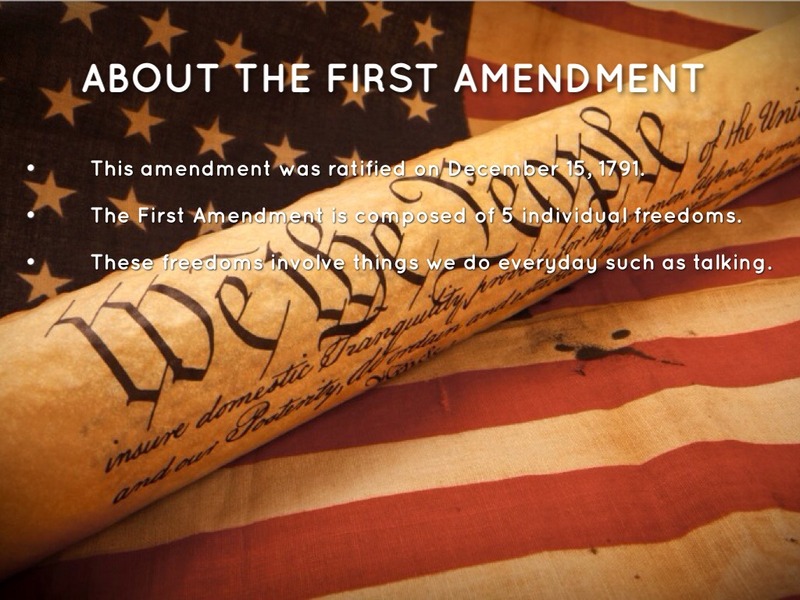 This amendment was ratified on December 15, 1791. 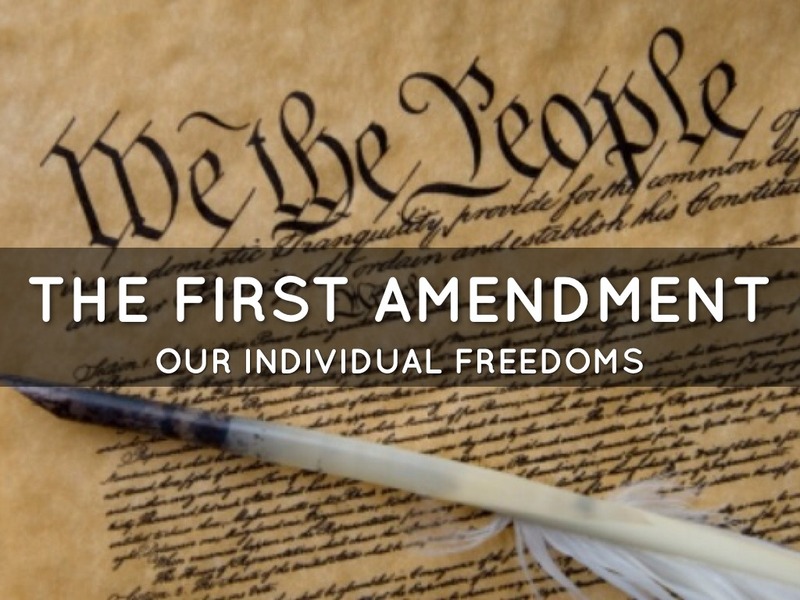 The First Amendment is composed of 5 individual freedoms. 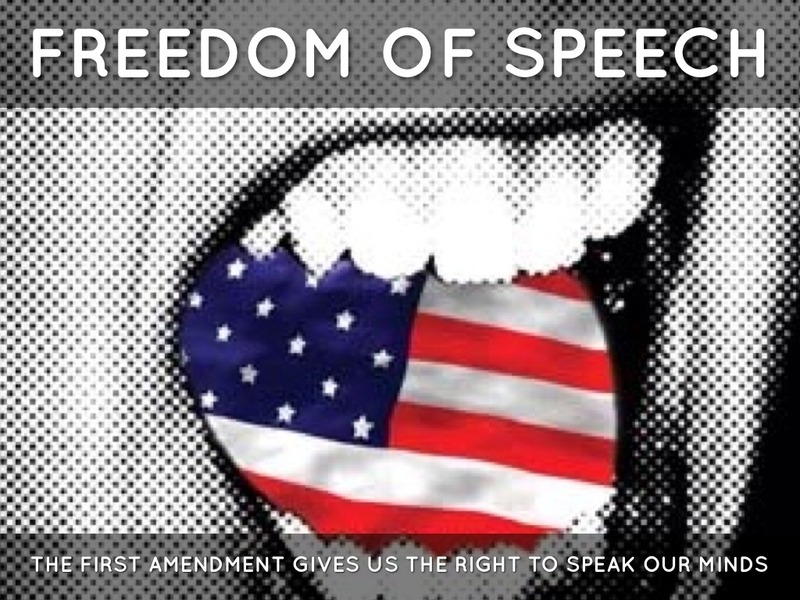 These freedoms involve things we do everyday such as talking. 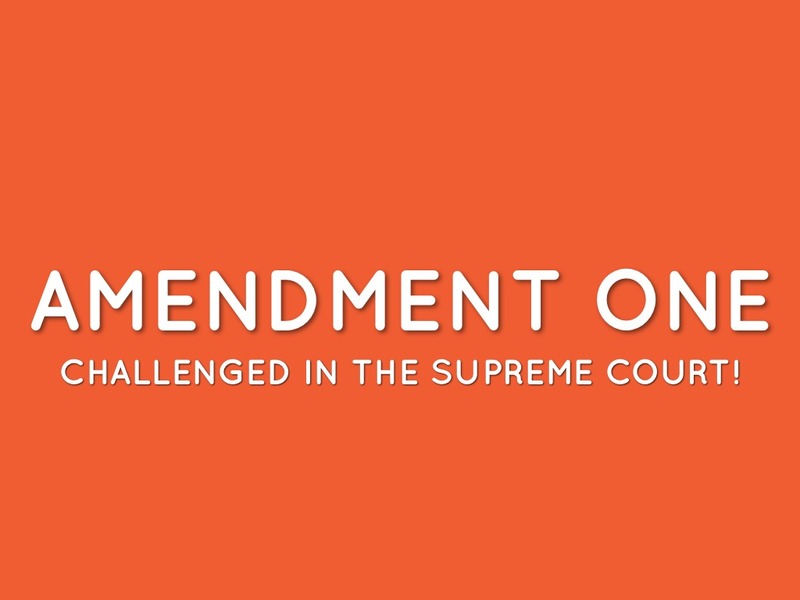 WHY WAS THIS AMENDMENT PROPOSED? 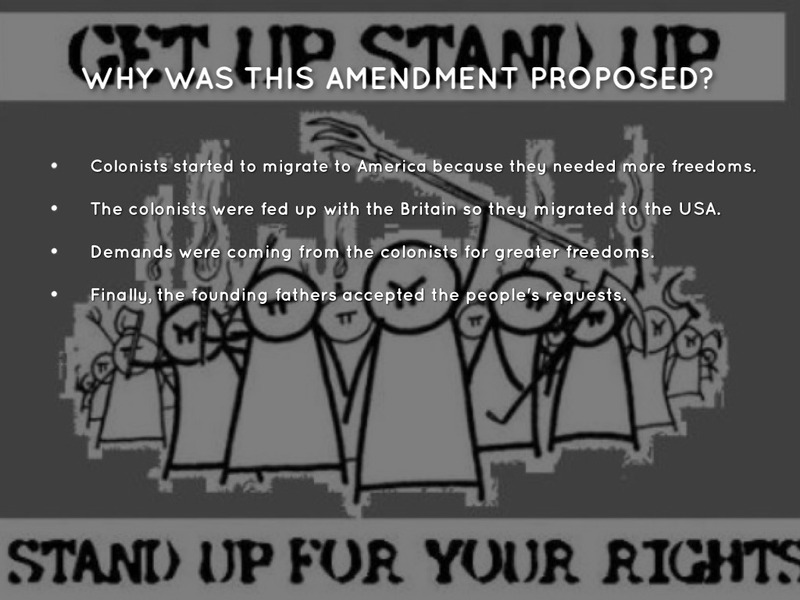 Colonists started to migrate to America because they needed more freedoms. The colonists were fed up with the Britain so they migrated to the USA. Demands were coming from the colonists for greater freedoms. Finally, the founding fathers accepted the people's requests. 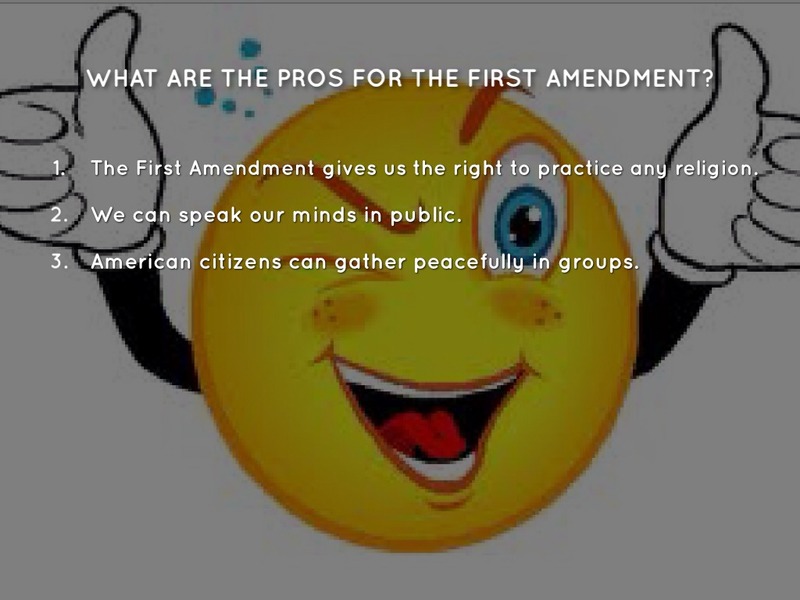 WHAT ARE THE PROS FOR THE FIRST AMENDMENT? 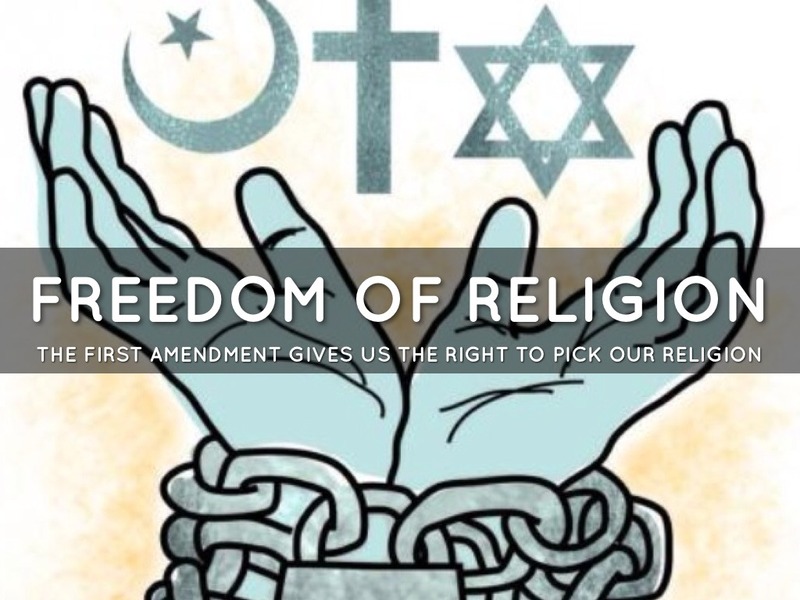 The First Amendment gives us the right to practice any religion. We can speak our minds in public. 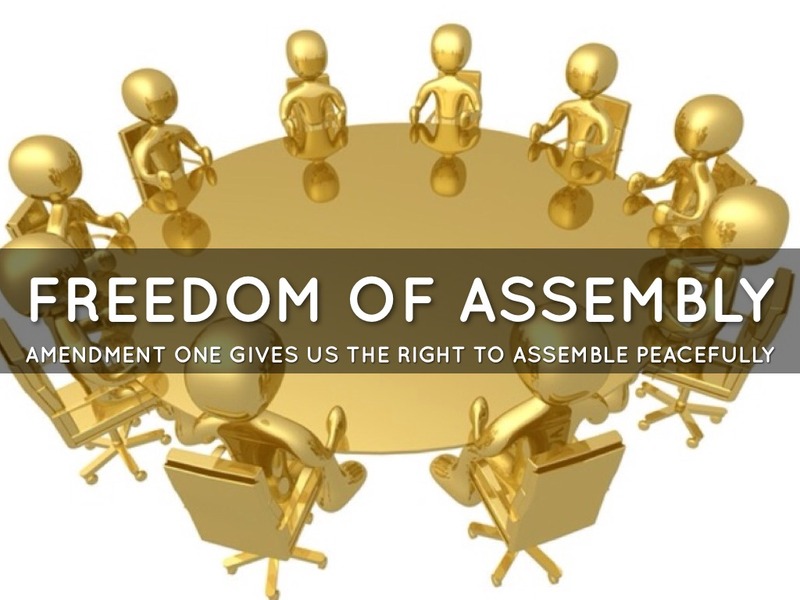 American citizens can gather peacefully in groups. 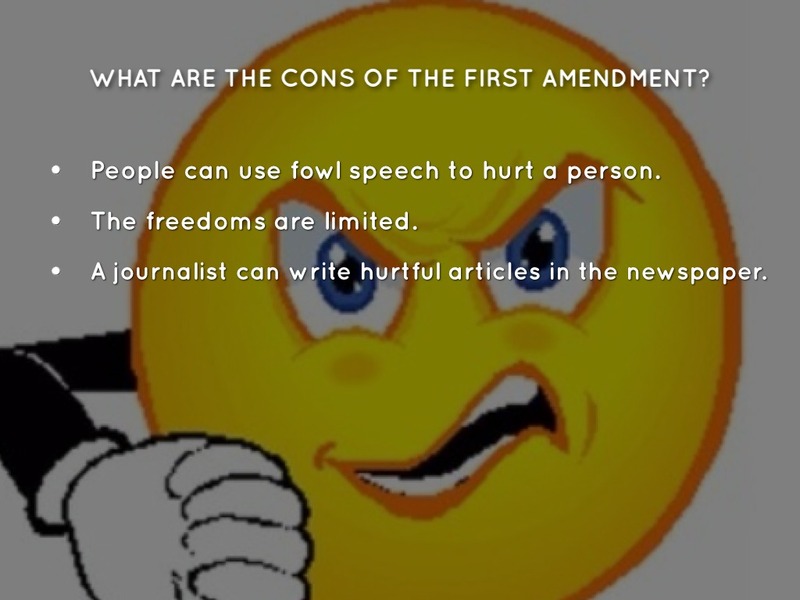 WHAT ARE THE CONS OF THE FIRST AMENDMENT? People can use fowl speech to hurt a person. 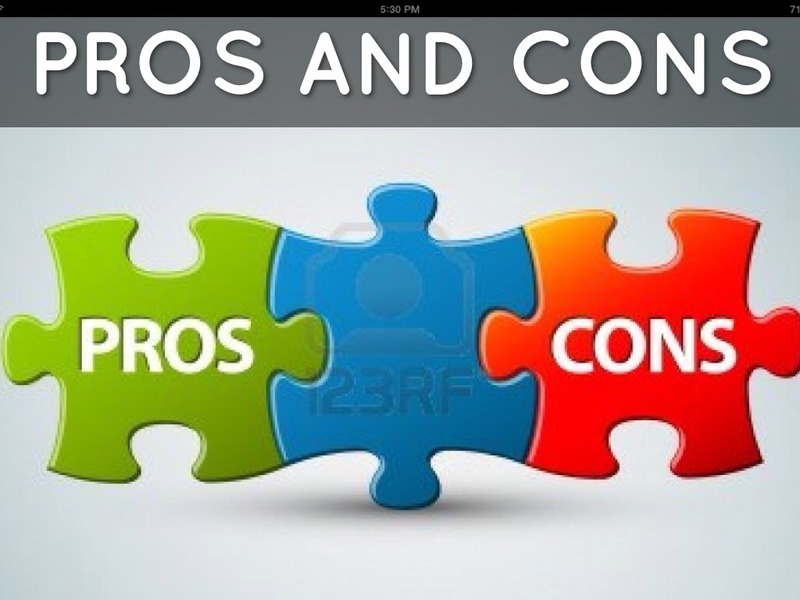 A journalist can write hurtful articles in the newspaper. CHALLENGED IN THE SUPREME COURT! 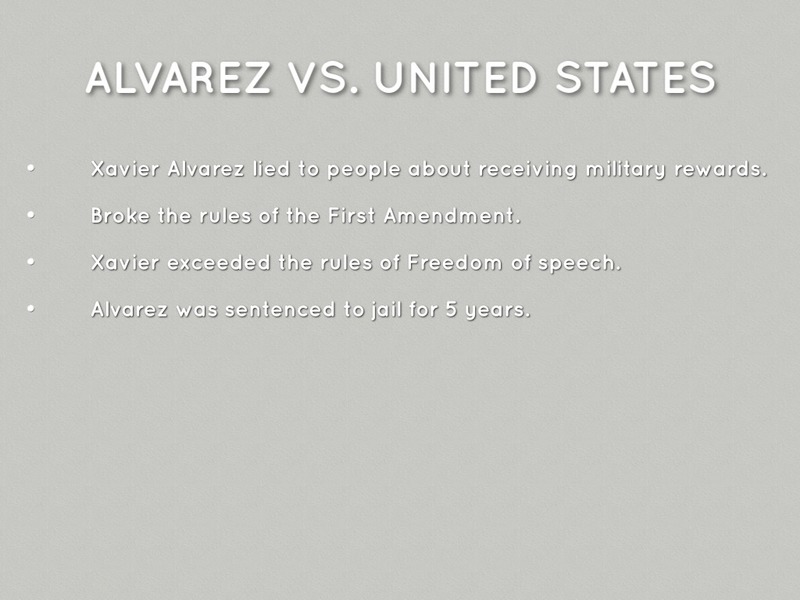 Xavier Alvarez lied to people about receiving military rewards. 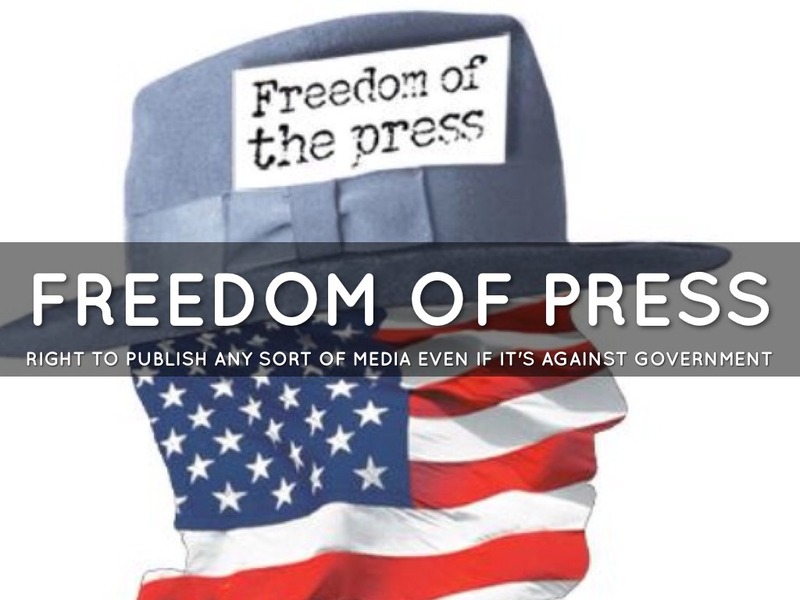 Broke the rules of the First Amendment. 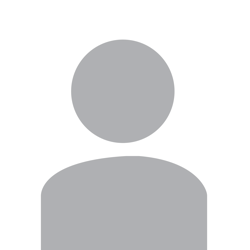 Xavier exceeded the rules of Freedom of speech. 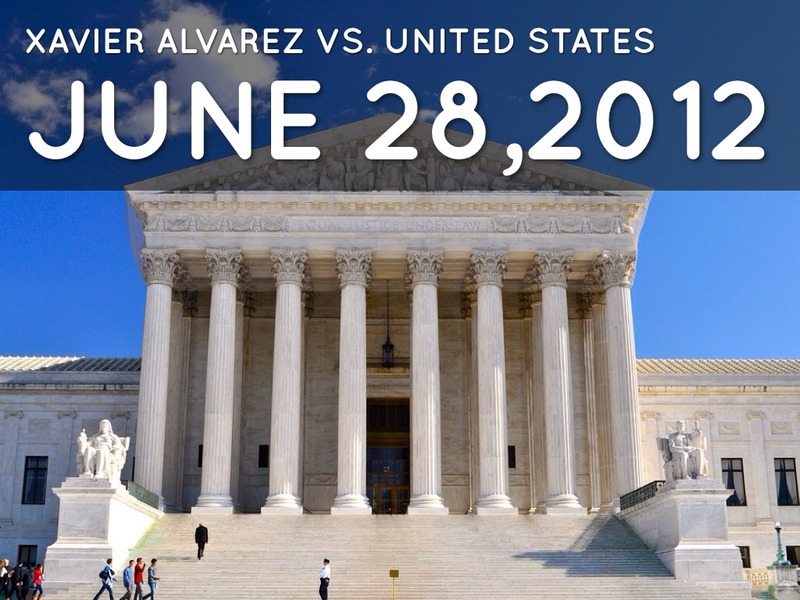 Alvarez was sentenced to jail for 5 years. 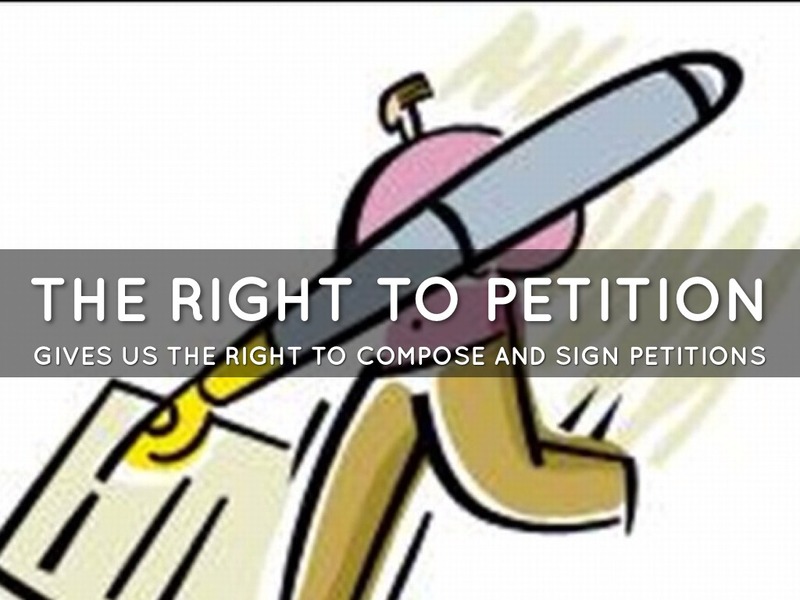 It gives us rights we need. 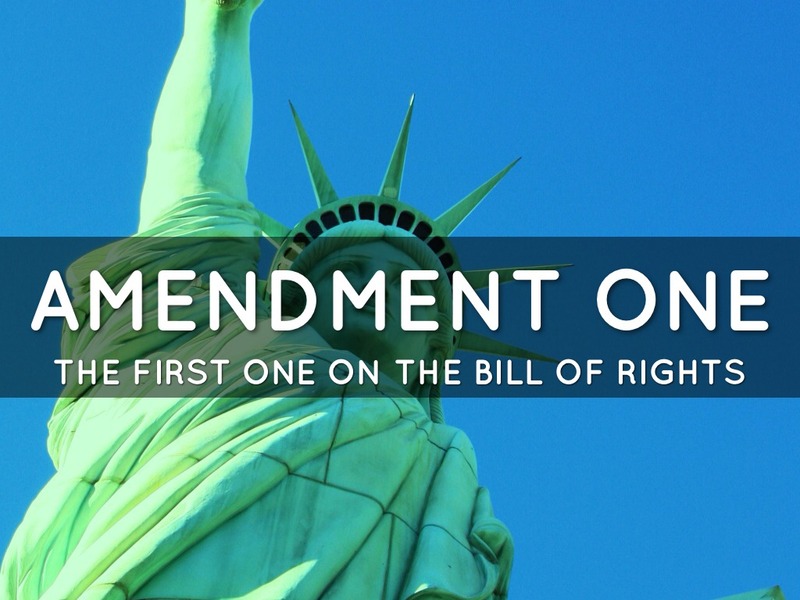 Without these rights, our lives would be way different. 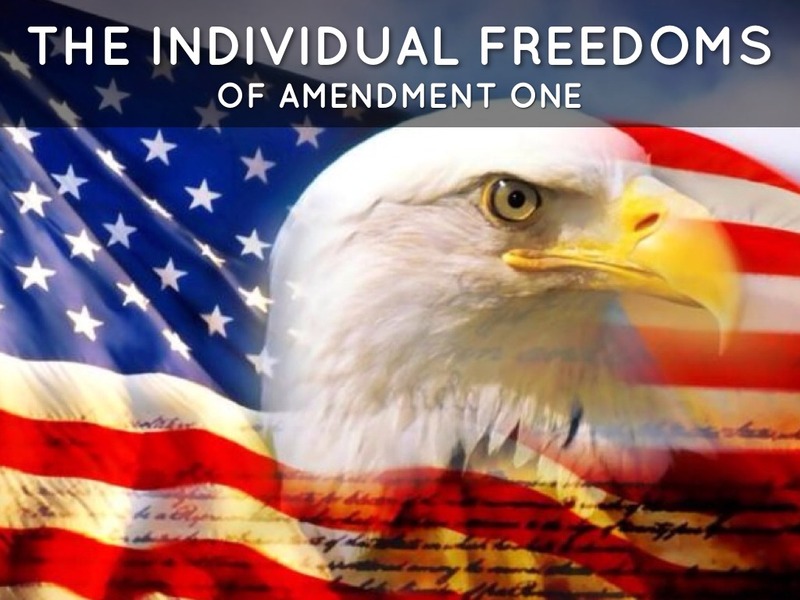 Even though the freedoms are limited, we can't live without them. 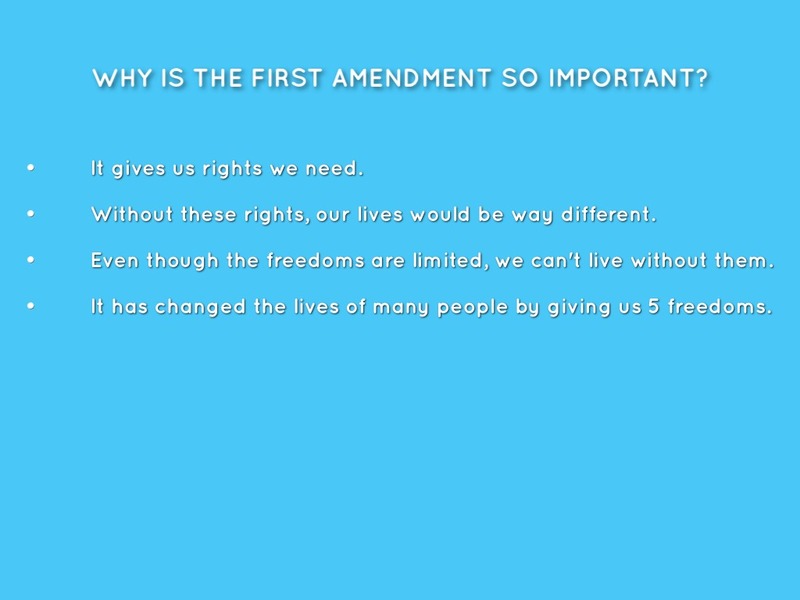 It has changed the lives of many people by giving us 5 freedoms.